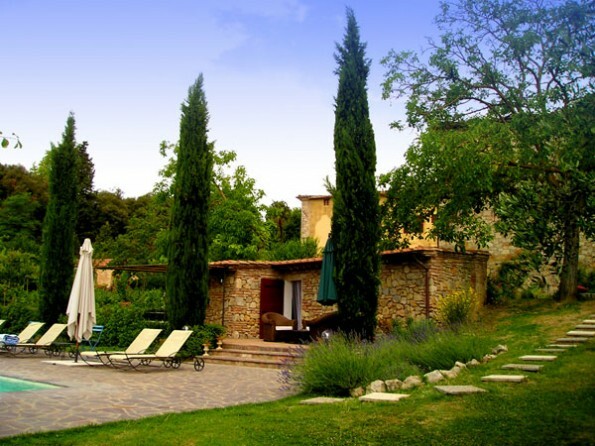 Only 12 km south from the medieval walled city of Siena, La Tenuta di Corsano is a timeless Tuscan villa on an estate of rolling vineyards and silver-leaved olive trees. 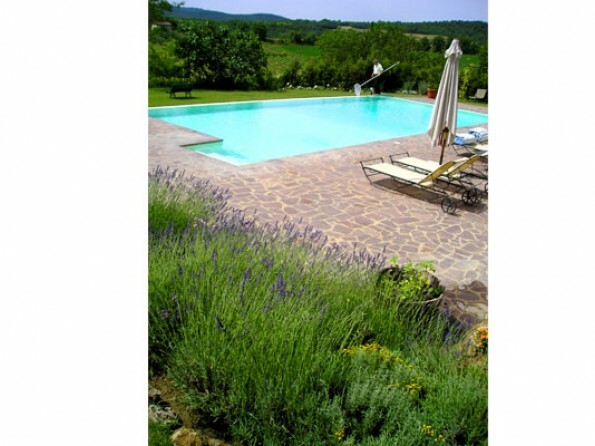 The 17th century farmhouse lies in the friendly hamlet of Ville di Corsano and consists of lovingly-restored apartments which are available for rent throughout the year. Your hosts, the Migone Family are happy to assist with local knowledge during your holiday. 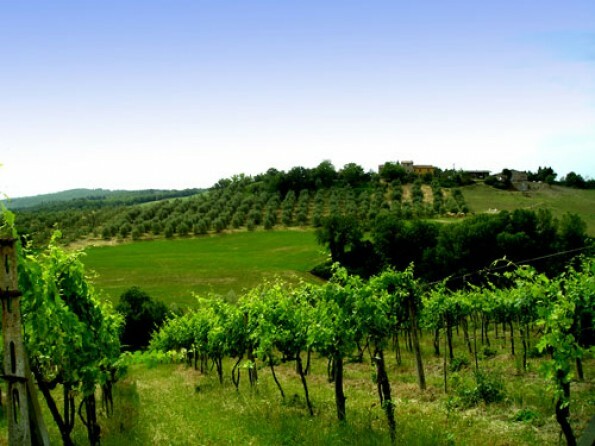 La Tenuta is a peaceful, stress-free country estate which produces the grapes for famed wines as well as olive oil, fruit and vegetables. 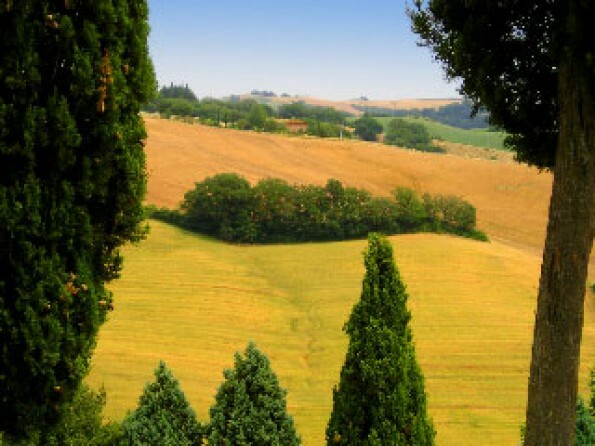 The pretty hamlet of Ville Di Corsano (population 200) is a friendly little place with a small supermarket, a post office and a renowned restaurant, although Siena, the city of the famous Palio di Siena, can be reached in less than 20 minutes by car. The largest of the apartments (Le Carrozze) was used for a fortnight as a set for Renzo Martinelli's 'Five Moons Plaza' starring Donald Sutherland, Giancarlo Giannini, Greg Wise and F.Murray Abraham. Donald Sutherland and Giancarlo Giannini particularly enjoyed the meals, prepared by Liliana, a host with exceptional cooking skills. 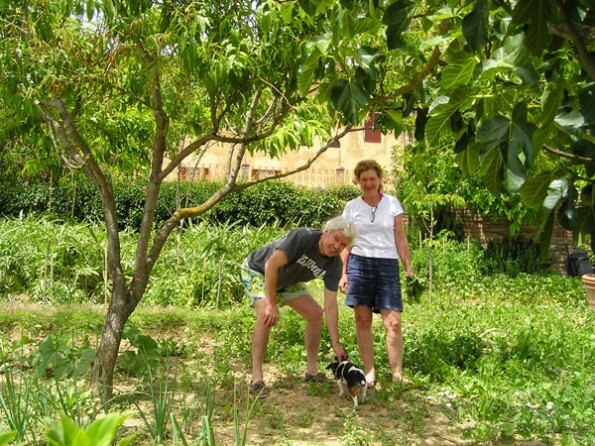 Cooking classes are available with Liliana, and bookings can be made with her directly during your stay at La Tenuta. We can provide you with detailed driving directions from whichever airport you arrive into. Distances from other places: Monteroni d'Arbia - 15 minutes. Buonconvento or Siena - 20 minutes. 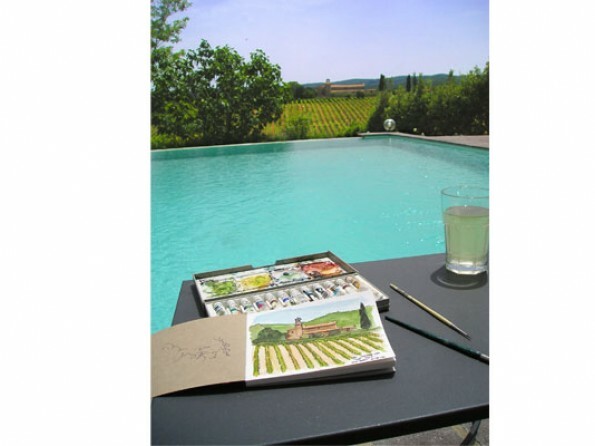 Montalcino, Abbey of Monte Oliveto Maggiore, Pienza or Monteriggioni - 30 minutes. Montepulciano, Abbey of Sant'Antimo or Castellina in Chianti - 45 minutes. Grosseto or San Gimignano - 1 hour. Florence or Monte Argentario (Tuscan coast) - 1.5 hours. There are seven apartments which have been carefully and tastefully decorated and furnished with period pieces and antiques. The traditional whitewashed walls offer a contrast to the vibrant, warm colors of Terracotta tiles and wooden fixtures, with a result that is both airy and welcoming. Each apartment is fully fitted and equipped, with excellent kitchen facilities, modern bathrooms and spacious, comfortable sleeping accommodation. The apartments range in size from one bedroom to three bedrooms, and some have sofa beds to accommodate extra people. 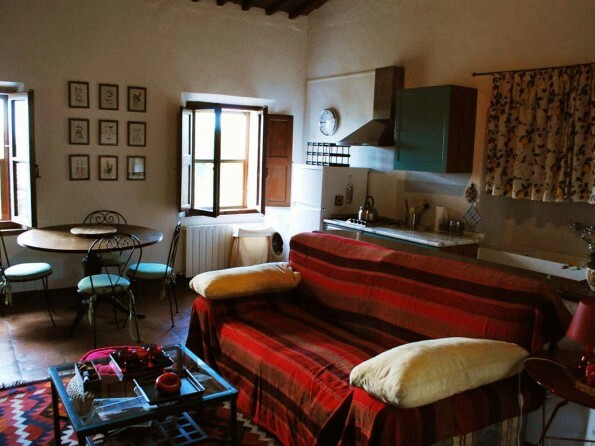 The apartments can be rented individually, or as a whole. 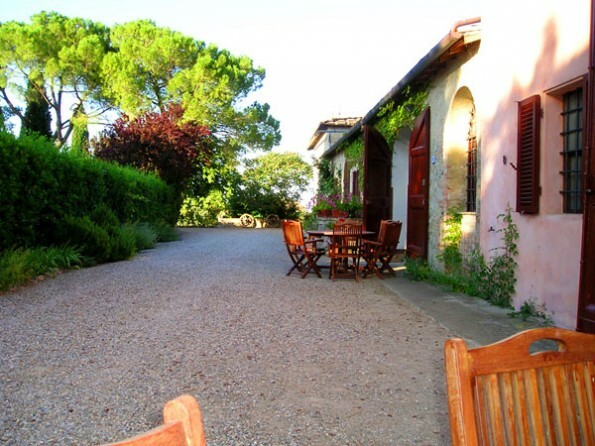 This is a delightful spot, the traditional setting of the accommodation set off by the soothing, rural surroundings. Here you can relax by the large and spacious swimming pool (7x14 m) where breakfast can be served every morning, or the gardens, sipping Villa Migone’s own wine and prosecco or sampling some of the local delicacies prepared by Liliana, who can also organize your dinners on request. For many guests the opportunity to relax by the pool, sit with a book under the shade of a fruit tree, or stroll through the grounds is all it takes to make a perfect holiday. 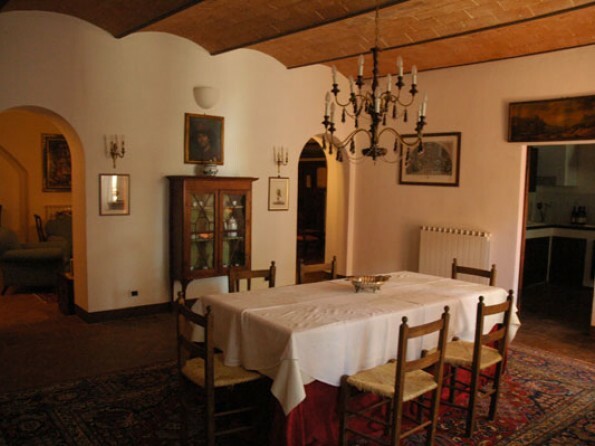 Tenuta di Corsano has belonged to the Migone Family for more than a hundred years. Its origins date back to the seventeenth century. 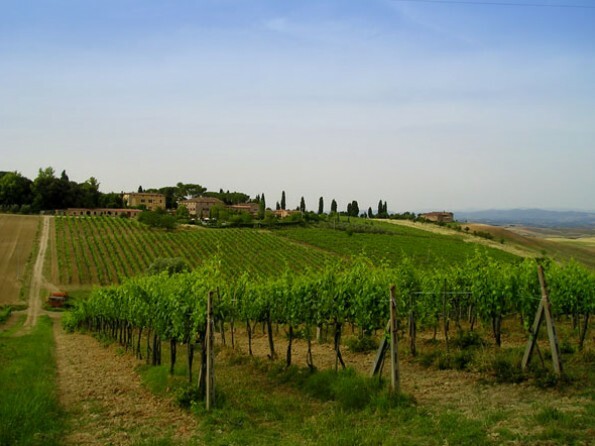 As a working estate, it was the largest in the whole Siena area and nowadays it produces excellent Chianti wines. The setting is romantic and unique, ideal for wedding receptions and banquets, both of which can be organized by the daughter of the owners, Francesca. Cooking Classes are available on request. Shopping and Dining: the closest restaurant and grocery store are in Ville di Corsano, 800 meters away Open Air Market is held in Siena every Wednesday a.m. Guided tours of Florence, Siena, Chianti region and other attractive venues with private guide and driver can be organized on request.